As a summer filled with weddings, birthdays, family gatherings and other excuses to gorge on delicious food slowly winds to a close, Jenny and I have vowed to start eating healthy. I like to think we eat pretty healthy already, so healthy eating in this case means things like more veggies and less fat, and less eating out and more cooking at home. I’m definitely up for the challenge. Of course, I’m also writing this in between bites of pizza, so it’s clear my definition of ‘healthy’ will vary from day to day. One of the things I like to cook when I’m on a healthy eating kick is fish, and specifically salmon. 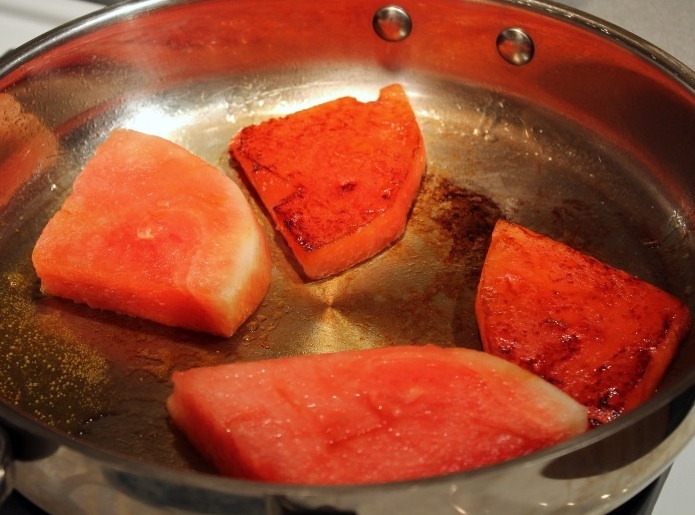 It’s easy to cook, versatile, flavourful, and has just enough fat to make my brain think it’s not as healthy as it is. And one of my favorite methods of preparing salmon is to wrap it in foil and bake it. 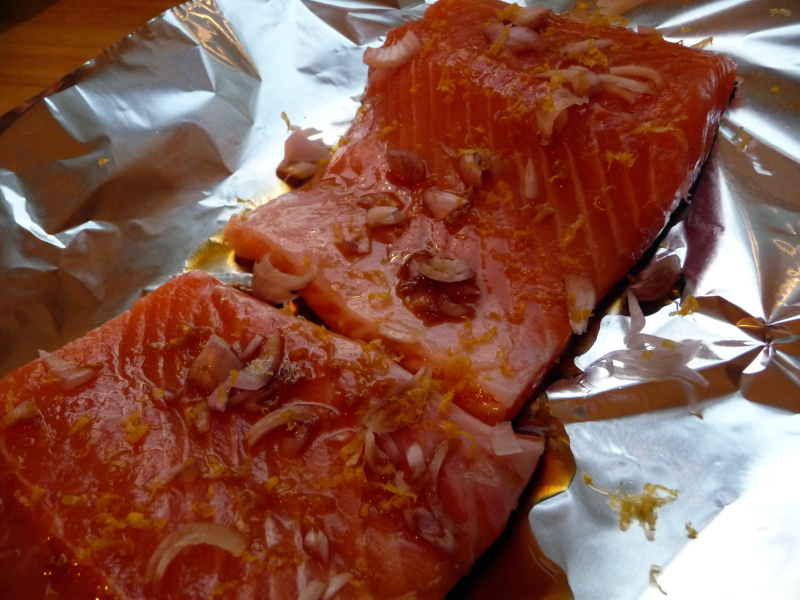 Few healthy recipes are easier at the end of a busy day than turning on the oven, wrapping a piece of salmon in foil with a few spices and other ingredients, and letting it do its thing while you let your brain disengage. On my most recent foray into salmon baking, a quick rummage through my cupboards and a bit of inspiration led to a flavour combo that I hadn’t tried before, but one that I’ll definitely be making again: ponzu soy sauce, shallots and lemon zest. It’s a natural pairing, really, with the salty and citrusy ponzu soy complementing the bitter citrus of the zest, and the shallots adding more sweetness and acidity. 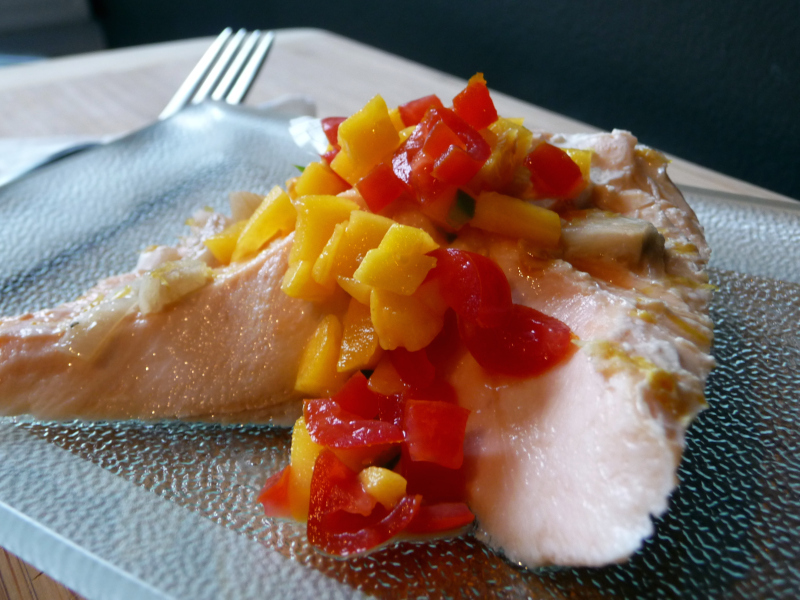 We topped the salmon with a great mango-tomato salsa that Jenny made, and paired it with a simple salad. Dice several grape tomatoes (or one larger tomato) into small pieces. Peel a mango and dice into small pieces. Dice a small jalapeno pepper, and remove some/all of the seeds if you’re not keen on too much heat. Combine tomatoes, mango and jalapeno in a bowl, and add a sprinkle of salt and a generous splash of tequila. 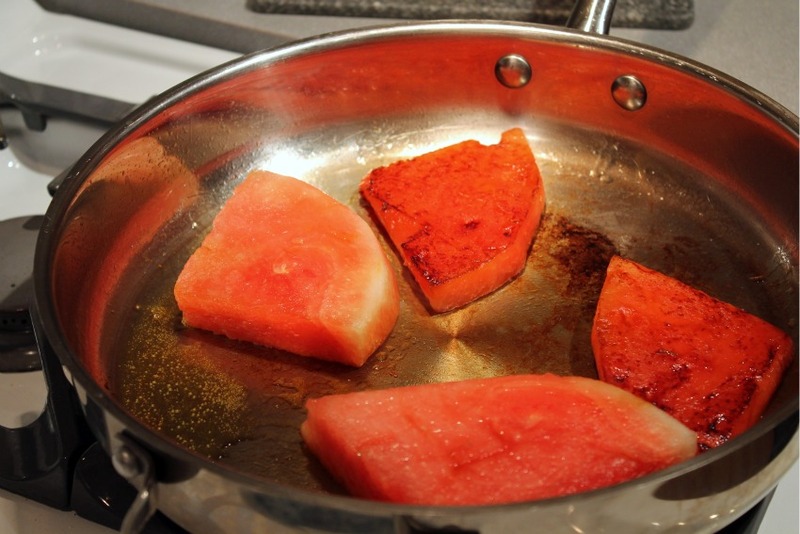 Stir, cover and let salsa sit while you prepare the salmon. Turn oven to 375 C. Lay salmon fillets on a large piece of aluminum foil (you want the foil large enough so you can wrap it tightly around the salmon). Drizzle ponzu soy over top of fillets; I used a fairly generous amount, while still keeping in mind that it’s high in sodium. 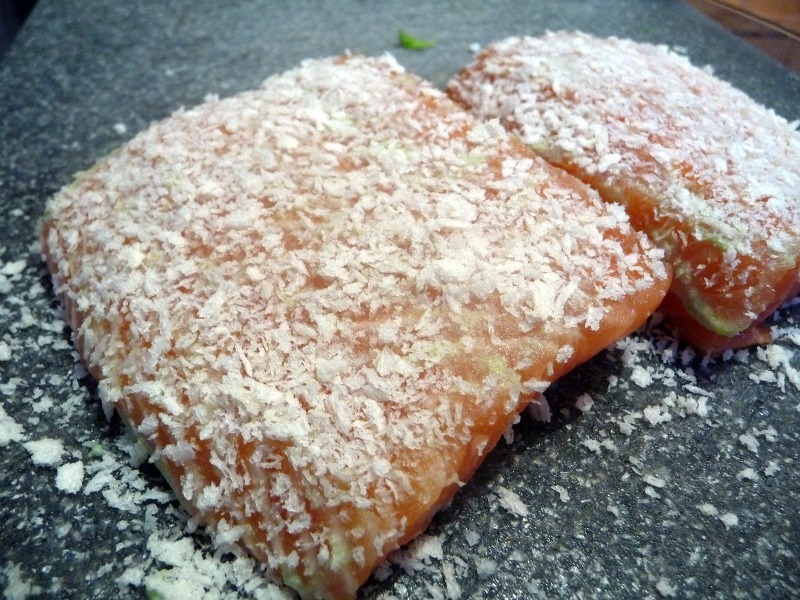 Chop 1 large or 2 small shallots into thin slices, and sprinkle over top salmon fillets. Using a microplane, finely zest a lemon over top of salmon so zest covers as much of the surface area of the salmon as possible. Fold edges of foil tightly together to create a ‘parcel’ enclosing the salmon. Lay salmon parcels on a baking sheet and place in oven for 20 minutes. 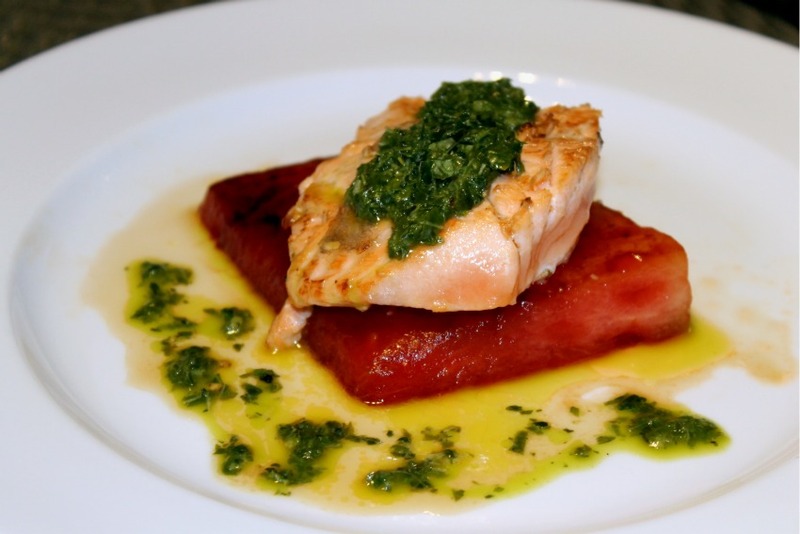 (Many foil-baked salmon recipes say to cook for 10-15 minutes at 400 C or higher, but I prefer to cook at a lower heat for longer to lessen the risk of overcooking, and to let the flavours develop better). 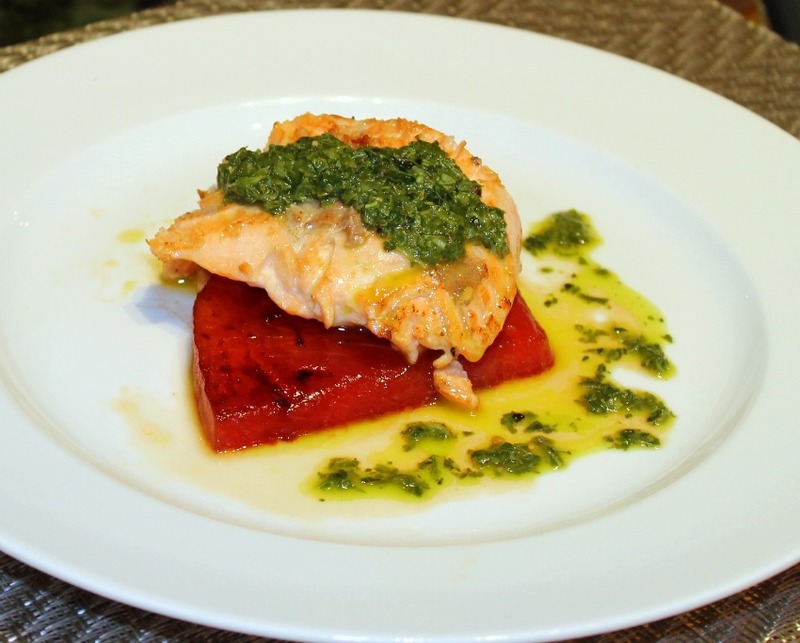 To plate, simply place one salmon fillet on each plate and top with a spoonful of the mango salsa. Let us know some of your favorite quick, healthy recipes. I’m going to need some more new ones if I’m going to keep eating right and avoiding the pizza!